A while back Born Pretty Store sent me a matte polish to review. I totally put this in the back burner until now. But anyways, last night I found some time to play around this super matte polish. 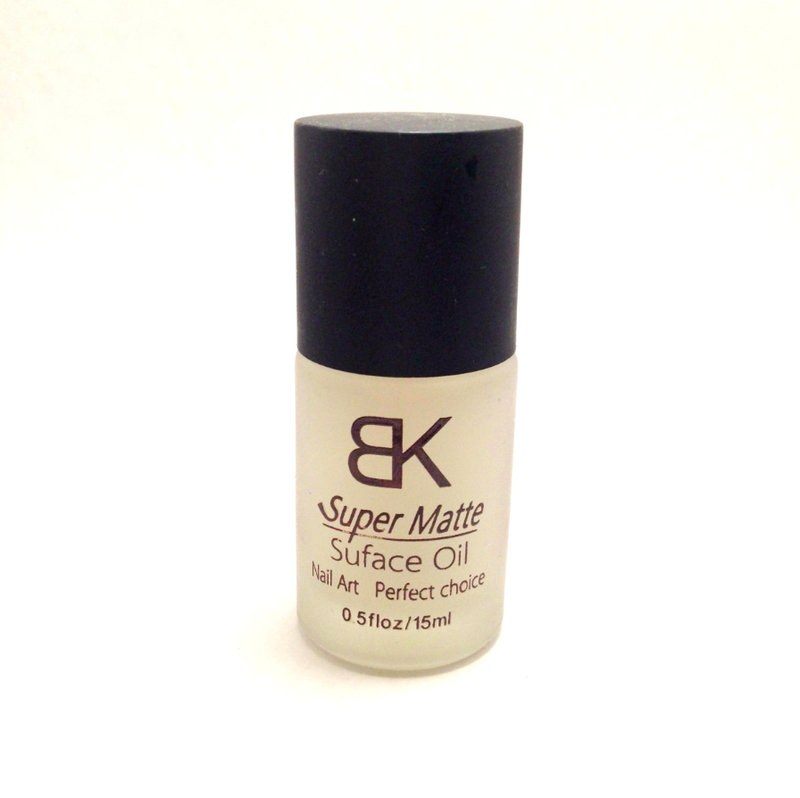 This BK Super Matte Surface Oil is $4.36 for one, but when you buy more the price lowers. So if you have 10 friends who are interested in getting a matte polish, you each would pay $3.88! This is actually a great price for a matte top coat. I've seen prices that ranges for $8 to $15! So if you're looking for a inexpensive matte polish, this is a great alternative. On top of that, you can get 10% off using the code: NVL91. What I like about Matte Top coat versus Matte Color polish is the flexibility. You can turn any polishes that you own matte. I love the effect of matte polish, it makes my nail art look like stickers! A lot of matte top coats have a thicker consistency, and this one is no different. You want to apply a thicker layer and spread the polish in light strokes to avoid nicks and brush strokes marks. 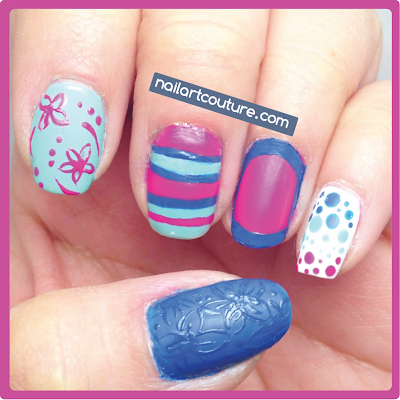 For more matte nail art idea, read on after the jump. Overall, I really like the polish! I own a more expensive matte polish from Julep, and I feel like BK Matte Polish achieve similar quality. The only downside is that I find the brush a little big and so sometimes it's hard to paint right to the edge. Other than that, I think this matte polish is definately worth purchasing. These are some matte polish nail art idea that I came up with. My favorite was my pinky, so that's why I recreated. I like the design without a third tier of bubbles, which is why I didn't add it. What is the dry time like on this Matte? I give it about 8 to 10 minutes to harden. I apply a relatively thick layer so it spreads evenly to the edges.